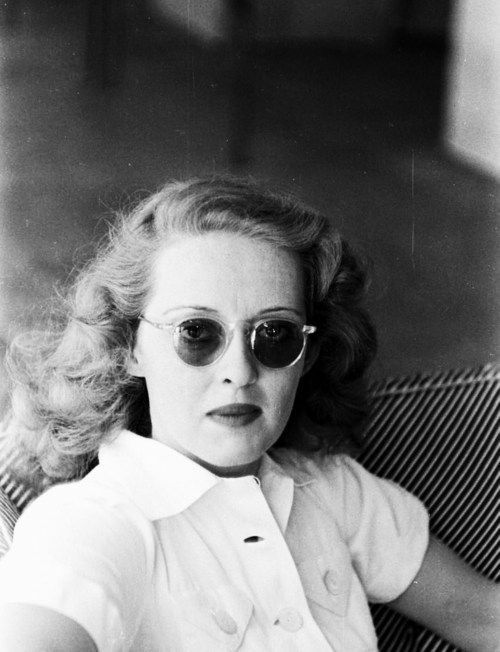 You could assume a lot of things about Bette Davis. Perhaps you’ve watched her movies (all 100+ of them) and you know her characters… smart, complicated, dramatic… and you think, personally, she must have been like that too. Or maybe you’ve read her books and know that her life hasn’t always been charming or easy, and you might think she bravely dealt with a lot of disappointment. Or perhaps you’ve seen her past interviews on television or youtube and witnessed how funny and polished and magnetic she was even in the off hours of her professional life. All those instances might lead you to assume things about Bette, making you define her as one thing more than another – brassy, smart, privileged, funny, vulnerable, demanding, narcissistic, intense, wise, melodramatic, sincere, even terrifying. 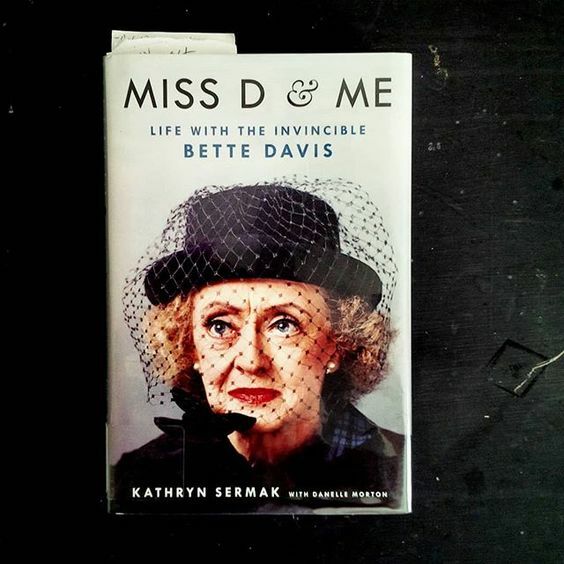 Thanks to Kathryn Sermak’s new book, Miss D & Me, we can put our assumptions aside and know first-hand that Bette was a little bit of all those things. And so much more. It is always fascinating to me to read about the behind-the-scenes lives of people in the public eye. Especially those stories shared by people who worked closely with a celebrity on a daily, detailed basis. Mostly because it breaks down the perception barrier of thinking that famous lives are so much more different than our own. That somehow fame and notoriety have morphed them into other-worldly figures washed clean from weakness and frailties. We generally only get to see one side of a famous person’s life depending on which part the media chooses to focus on, but with behind-the-scenes stories, you are offered a glimpse into a much more diverse landscape than any two-minute news clip or ten-minute interview could provide. Ordinary people that work alongside extraordinary people are witness to the three-dimensional side of stardom – all the good and all the bad wrapped up in one experience. Like the relationship between Katharine Hepburn and her cook Norah, or Frank Sinatra and his valet George Jacobs or Madonna and her brother Christopher we are offered the chance to understand that the lives of these seemingly mythical creatures are really just fellow human beings, both flawed and fabulous. When Kathryn Sermak first came to work as Bette’s assistant in 1979, Kathryn was a young, carefree Californian who spelled her name the classic way – Catherine – and had just newly spelled out a dream of one day living in France. Bette was in her 70’s, still working and very much set in her ways. 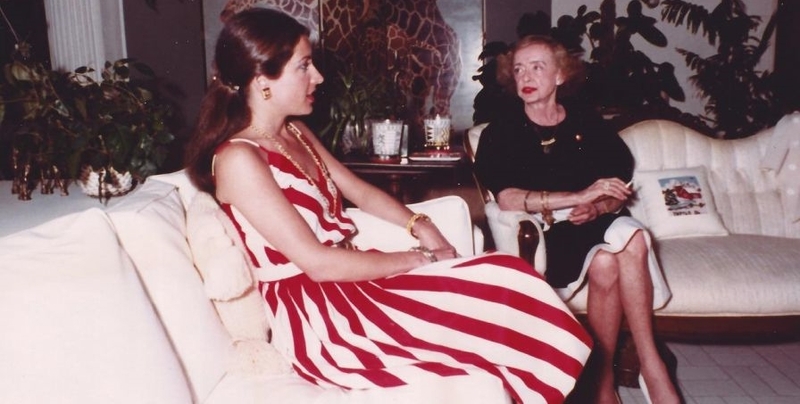 Kathryn thought she was taking a simple summer job that would enable her to fund her way to France – not even really aware of who Bette Davis actually was. In turn, Bette thought she was getting a competent, sophisticated assistant in Kathryn whom would be both professional and perfunctory. Both were in for a very big surprise. In the early, uncertain days, Kathryn didn’t expect to eventually count Bette as one of her best friends and Bette absolutely never entertained the idea that Kathryn would become like a daughter to her. At first, everything was wrong for both women. On Bette’s side, Kathryn was not enough – she wasn’t cultured, she wasn’t able to anticipate needs, she wasn’t sophisticated, nor groomed for the level of lifestyle that Bette had grown into. On Kathryn’s side Bette was too much… too demanding, too overbearing and too controlling. Both thought they would never last the first week together. The turn in their relationship from bad to better came down to one simple little thing – an egg. 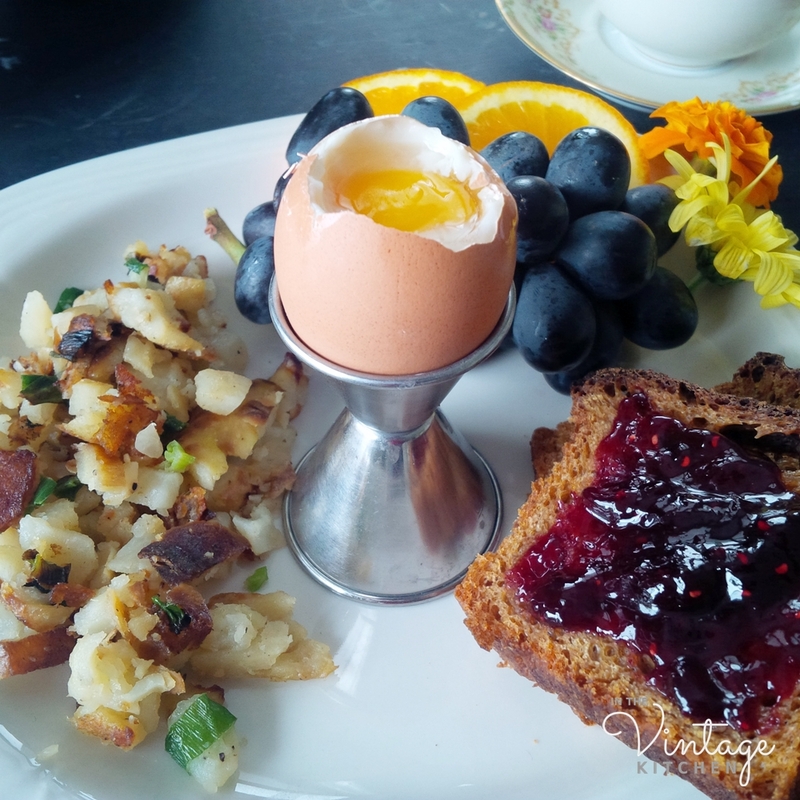 Bette’s breakfast most always consisted of a three-minute egg. The proper cooking of it was her litmus test as to the value of any good assistant’s worth. There’s not much to cooking a three-minute egg. It involves a pan of boiling water, an egg still in its shell and three minutes of simmering. But Bette added a twist to this simple test. How do you cook a three-minute egg in a hotel room with no stove, no pots and pans and no kitchen? Perplexed, Kathryn had no idea until Bette motioned to the in-room coffee pot. Then hot water was brewed. The egg was placed in the glass coffee carafe and the time was monitored on a wristwatch for 3 minutes exactly. In this small test of skill, it wasn’t that Kathryn failed to quickly and cleverly assess the options of impromptu cooking in a kitchenless room, but instead, it was the trainability of her actions that caught Bette’s attention. That was the beauty of their relationship and the bud that ultimately bonded them together. The fact that Kathryn was young, fresh and naive while Bette was experienced, opinionated and worldly proved a combination of character traits that formed a tight friendship that lasted the rest of Bette’s life. It wasn’t always easy for these two women learning about life and each other day by day, but by the end the experience was invaluable. There were outlandish moments, like when Bette insisted Kathryn change the spelling of her name from Catherine to Kathryn so that she would be more memorable (which she did!). There were all the lessons Kathryn had to endure… etiquette, elocution, table manners, how to walk properly, how to dress effectively, how to eat with decorum and how to hold court at a table full of strangers. There were awkward moments, when Bette’s insistence on how to appropriately handle certain social situations was so outdated, that Kathryn would bear the brunt of the embarrassment. This was especially apparent when Bette insisted on dressing Kathryn for a formal dance in Washington DC complete with fur coat, gloves, a designer dress, expensive jewelry and dance lessons only for Kathryn to encounter a room full of denim-clad twenty-somethings casually hanging out in a dance hall. 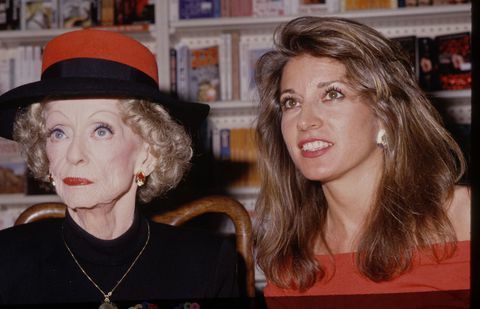 There were the vulnerable moments when Bette crumpled up in the face of public humiliation as her daughter wrote an unflattering tell-all book, or when Bette threw off her wig in the car one day and embarked on a temper tantrum that was heartbreakingly child-like. There was oodles of advice about men and relationships and sticking up for oneself in the face of adversity. And there were the laughs and the conversations and the sweet letters that Bette would write to Kathryn expressing all the appreciation she felt for her darling assistant and her close friend. There were silent treatments and long work days, elegant cocktail hours and thoughtful gifts, tears and tenacity, laughter and luxury. There was life, with all its good and all its bad. A Bette Davis inspired breakfast! It’s a simple menu symbolizing all that was Bette Davis – sweet, salty, fresh, traditional, colorful, warm, cool and classic. It takes just a few minutes to make and is so easy it doesn’t even require detailed instruction. Simply boil an egg for 3 minutes. Slice some homemade bread and slather it with jam. Bake a potato in the oven for an hour and then finely chop it up with some scallions and salt and pepper and add the mix to a pan with some olive oil and let it cook until it turns brown and crusty. Adorn the plate with fresh fruit. Tah-dah! Breakfast, Bette Davis style, is ready! Kathryn would be the first person to tell you that life with Bette was extraordinary for her last ten years. That the talented movie star was never far from the actual woman. That there was a glamorous side to her, a practical side, a petulant side and a vulnerable side that made her interesting and unique and ultimately endearing. That she was far from perfect but perfectly real. “That’s me: an old kazoo with some sparklers, ” Bette once said. 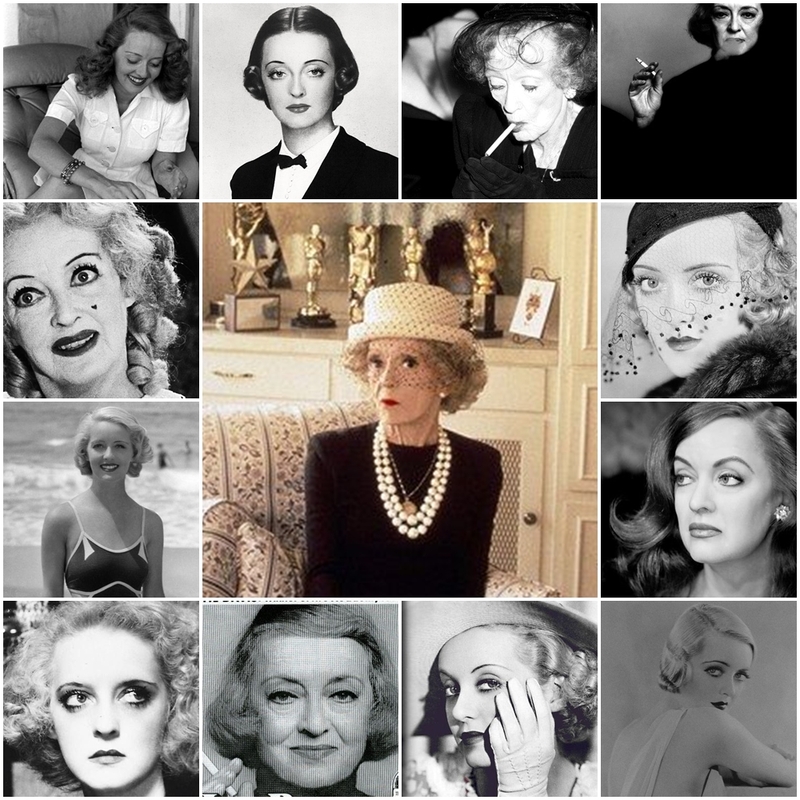 The many faces of Bette Davis throughout her 55-year career. 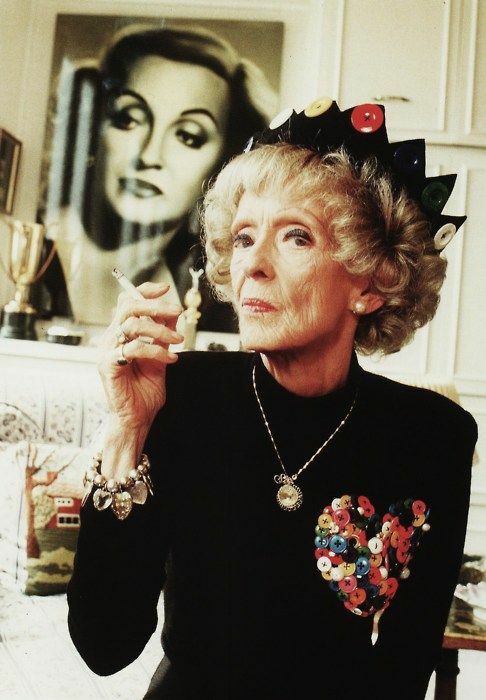 Cheers to Bette for tackling life head-on, with grace and style and fortitude and being 100% unique about the whole affair until the very end. 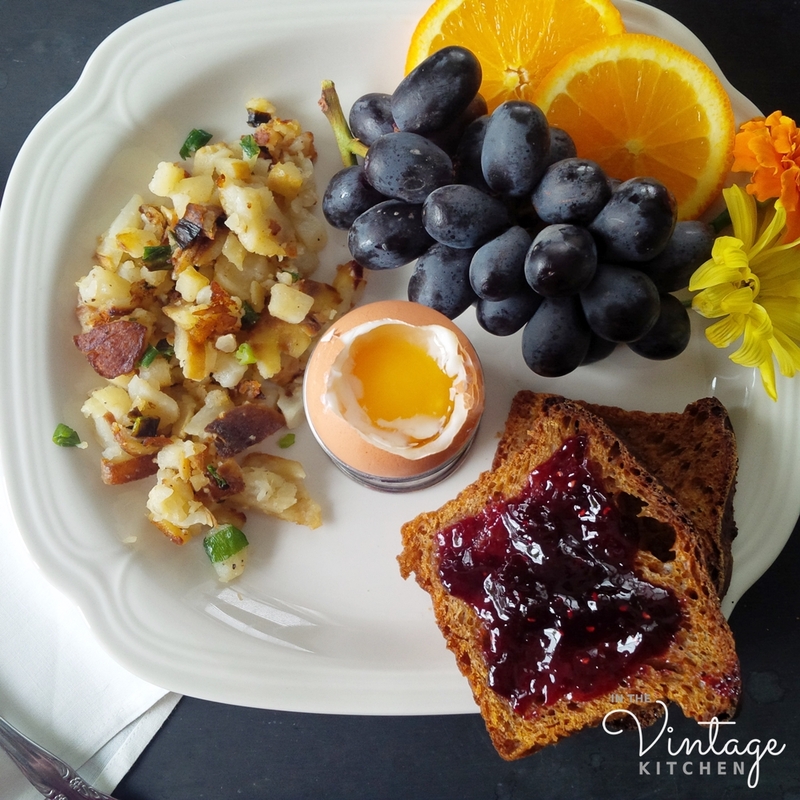 Cheers to Kathryn to giving us a very real look into the life of real woman and cheers to three-minute eggs – a new breakfast favorite here in the Vintage Kitchen! 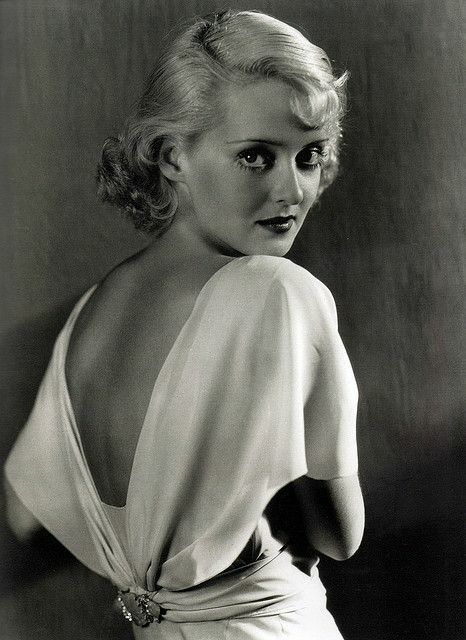 This post is part of a blogathon hosted by In the Good Old Days of Classic Hollywood featuring the life and film Career of Bette Davis. Read more about this incredible woman and her work in a variety of posts contributed by a dozen different film bloggers here. 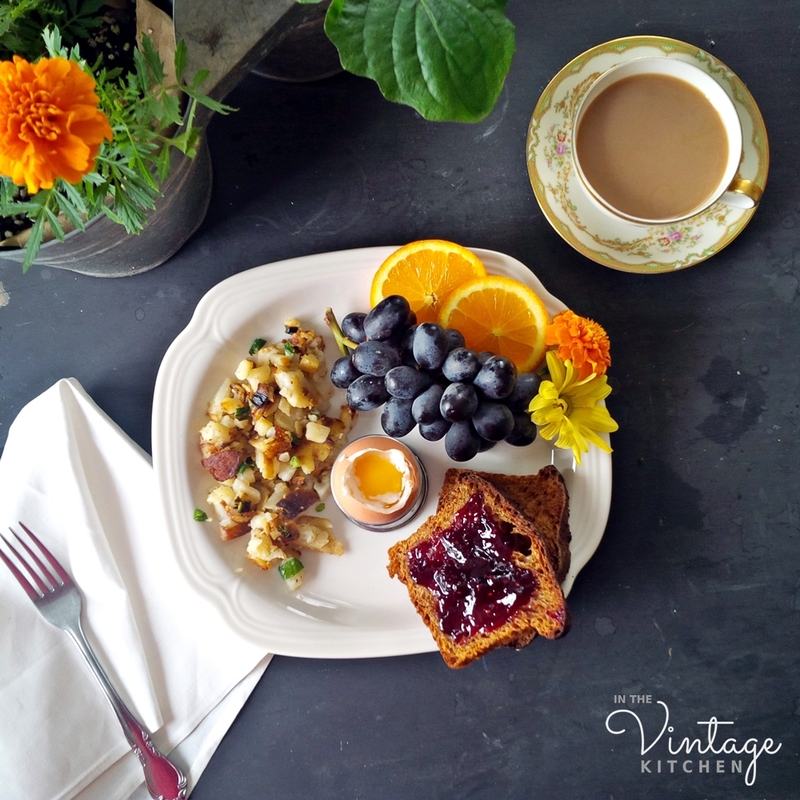 Find the vintage cookbooks that contributed recipes to this post in the shop here. Find the recipe for homemade brown bread from a previous post here. Find out more about Kathryn Sermack and her book, Miss D & Me here.